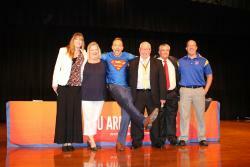 Atlanta ISD and surrounding districts in the area were treated to the “Fired Up” enthusiasm of Aric Bostick as a welcome back from the superintendents. Bostick travels the country as a motivational . 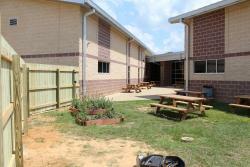 . .
Atlanta Middle School was the recipient of a Lowe’s Home Improvement grant awarded at the end of the 2015-2016 school year. The grant was intended to fund an outdoor classroom and was written by . . .
United Way of Greater Texarkana, along with Texarkana Resources, donated 40 filled backpacks to Atlanta Elementary at the beginning of school. 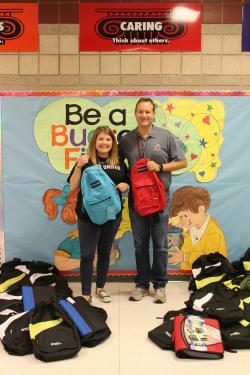 Molly Riley presented the backpacks to principal Todd . . .